The story of the exodus from Egypt is a defining moment in the pages of Scripture, as well as in the history of the world. The liberation of the people of Israel set events into motion that would ripple down through the centuries. It is a moment in history remembered and held sacred by Jews and Christians alike. It is a story that has been retold countless times by faithful believers. Despite its revered status, and the attention devoted to retelling it every year, a surprising detail of information is left out of the telling that significantly alters the story of the exodus. A repeated detail is given throughout the account that directly involves Pharaoh and his reason for refusing to let the people go, and yet is one that seemingly every single film, commentator, rabbi, preacher, and Bible scholar either forget about or simply not understand. This one detail drastically changes how the exodus story is understood from our perspective. By the end of this study, you will never again be able to look at the exodus events the same way, and will finally approach the amazing events in the way they were correctly intended to be viewed. That’s right – the exodus story has been told wrong for countless years! I know that is a very grandiose claim to make, but by the end of this study, you will see that it is entirely legitimate! 3:8 And I have descended to deliver them from the hand of the Mitsrim, and to elevate them from that land to a land good and wide, to a land flowing [with] milk and honey, to a place of the K’naani, and the Khitti, and the Emori, and the P’rizzi, and the Khiwi, and the Y’vusi. 3:9 And now, see, the cry of the sons of Yisra’El has come to Me, and even I have seen the oppression which the Mitsrim oppress them. 3:10 And now, come, and I shall send you to Par’oh, and you shall bring My people, the sons of Yisra’El, from Mitsrayim. The purpose is to bring the descendants of Jacob out of Egypt and into the land promised to Abraham. There is no question as to what the goal of Moses will be. It is clearly told to us in the text. 3:16 Walk, and gather the elders of Yisra’El, and say to them: “YHWH the Eloah of your fathers, appeared to me – the Eloah of Avraham, Yitskhaq, and Yaaqov, saying, ‘I have certainly visited you, and what is done to you in Mitsrayim. This detail is what Moses was told to convey to the elders of his own people. They were to know exactly what he was there to do. No leader among the Hebrews would have to wonder what his purpose was in their midst. He was there to deliver them from the land of Egypt and return them to the land promised to them in covenant. This is simple. This is direct. This is the whole truth. Stop. Please, reread the above verse. Ok, now reread 3:16-17, and compare. What do you notice? Anything different? You should. 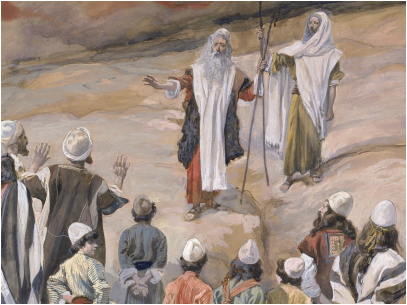 Moses was commanded by the Holy One to tell the elders of Israel that he was there to take them back to the promised land. They got the whole truth. However, Moses was commanded by the Holy One to tell Pharaoh something entirely different - his request was for something that the Holy One never intended to actually do! Moses was not to mention to Pharaoh that he came to set his slave labor force free. There is never a booming directive of, “let my people go forever!” If you’ve been taught that Moses came to the courts of Egypt demanding that Pharaoh allow the people of Israel to go home to Canaan, you’ve been taught a falsehood. That is not what the Torah tells us happened. Pharaoh was not given the same information that the elders of Israel were given. The Holy One very specifically told Moses what to tell the elders of Israel and what to tell the king of Egypt – and it was not the same set of information. The king of Egypt was not allowed to know the ultimate plan of the Most High for His people. Pharaoh had no idea that Moses was there to extract the people of Israel completely from the land of Egypt. All Pharaoh knew was that Moses wanted the people to be granted a one-time request for a worship ceremony. Does such an idea surprise you? The text is as clear as can be, and as we shall see, it repeats this piece of information over and over again throughout the grand spectacle of the plagues on Egypt. This is not something I have read into the text as a wild interpretation. This is the blatant Word of Elohim being read without any religious filter in place. You shall see that this is not a hidden secret of Scripture, but rather, is repeated time after time in the pages of the book of Exodus. There is nothing in his mind in either of these passages worrying about losing his slave labor force for good. Rather, he had no desire to let them worship their deity. In Exodus 7:16, and in 8:1, are the next requests to send the people forth to worship the Holy One, and Pharaoh denies them this simple thing. He attempts to strike a deal with the Holy One: freedom from the frogs will get the people their worship ceremony in the wilderness. He says nothing about sending them out to never return. That was never part of the deal originally proposed by Moses. 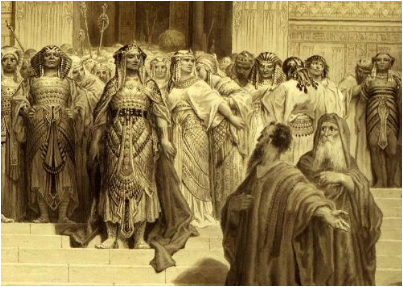 It was always presented to Pharaoh as a limited worship service for the Hebrew people. This is upheld also in the reply Moses gives to Pharaoh, found in 8:9, where he has no problem with what Pharaoh has said. If Pharaoh had misunderstood the intent of sending out the people, this would have been the perfect time for Moses to tell him that they actually wanted to go away forever – but Moses makes no mention of that reality, because that piece of information was not a detail Pharaoh was supposed to know! 8:26 And Mosheh said, “It is not proper for the deeds, for the abomination of the Mitsrim shall we sacrifice to YHWH our Elohim. See, shall we sacrifice the abomination of the Mitsrim before their eyes, and they not stone us? 10:11 …Not so! Do walk, who are men, and do serve YHWH, for that is your desire!” And they were driven from the face of Phar’oh. 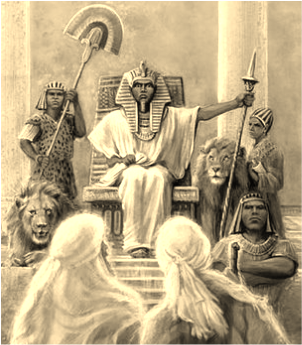 This meeting shows that Pharaoh was being tossed back and forth in his mind as to who would be able to attend this worship ceremony. You can read the moment his heart is hardened and he changes his mind in the midst of initially allowing them to go worship. At first, he appears okay with the declaration that all Hebrew slaves and their livestock were taking part in it, but then backtracks in mid-acquiescing, and decides only the men are allowed to make the trip. 10:25 And Mosheh said, “Even you must give into our hands sacrifices and burnt offerings, and we shall perform to YHWH our Elohim! 10:27 And YHWH strengthened the heart of Par’oh, and he was not inclined to send them forth. 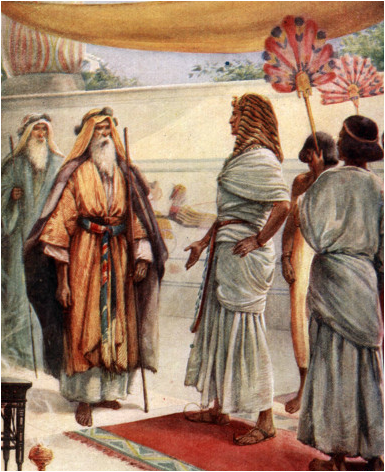 This meeting displays the sudden magnanimity of Pharaoh by allowing the broadest acceptance yet of Moses’ request. However, he very quickly changes his mind at the unspeakable addition by Moses that not only shall the livestock of the Hebrews most definitely attend the worship ceremony, but Pharaoh himself must also provide the Hebrews with proper animals to sacrifice! This was too much for Pharaoh’s heart, for he could have no part in sacrificing to the deity of the Hebrews – especially with the fact that they were sacrificing what the Egyptians deemed abominations. 12:31 And he called for Mosheh and for Aharon at night, and said, “Do rise up! 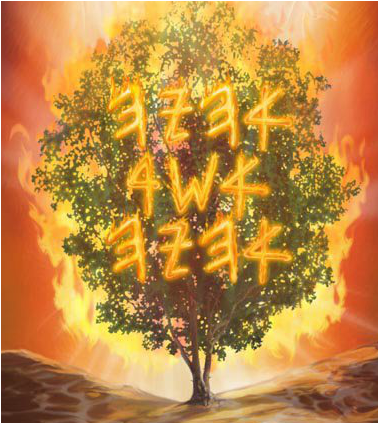 Go out from the midst of my people – even you, even the sons of Yisra’El, and do walk – do serve YHWH, as you have said! At this passage, Pharaoh has no more strength to withstand the request made to him; he sends forth the people and their flocks, as was originally asked of him, and goes so far as to ask for a blessing, as well! Holding the lifeless body of his own son in his hands has brought him to the point of giving in to the demand of Moses, with no caveats present. The people are allowed to go and perform their worship ceremony. 12:36 and YHWH gave favor to the people in the eyes of the Mitsrim, and they asked, and they stripped off the Mitsrim! 12:38 And also a mixed multitude ascended with them, and flocks and herd – very dense cattle! The text is not lying to us; the people gave assuming that they would be returned. This was an act of good will on behalf of the Egyptians. It was an act they performed, hoping that their generosity would engender favor from this Hebrew deity who had so obviously shown Himself to be far greater than all the assumed deities of Egypt. The people did not steal these objects of value from the Egyptians – they were willingly given for the purpose of use in the worship of the Holy One! Any reading that involves less than a true understanding that the Egyptians were kept in the dark concerning the ultimate purpose of the going-forth of the Israelites makes the Hebrew essentially people thieving from the Egyptians – there’s no way around it. This true understanding also shows why the mixed multitude provided so much trouble for the Israelites in the wilderness, and why they were so eager to return to Egypt at a moment’s notice, and so dauntlessly willing to engage in idolatry – they had left with the Hebrews with the assumption that they would go out into the wilderness, personally appease this Hebrew deity who obviously possessed great power, and then return home after the worship ceremonies were completed. If Pharaoh had sent the people away with no intention of them returning, then why would anyone need to tell him that they had fled? It makes absolutely no sense if read the popular way that is portrayed in films and by teachers worldwide, but it makes complete and absolute sense when read with all the Biblical details correctly in place before it: Pharaoh had no idea that the Hebrew people were not coming back! Pharaoh never knew they were leaving for good! With all these evidences firmly established, the question must be asked as to why Pharaoh refused to allow one simple request for the Hebrews to take time off for worship. Why would he be so bold and antagonistic to such an easy request? 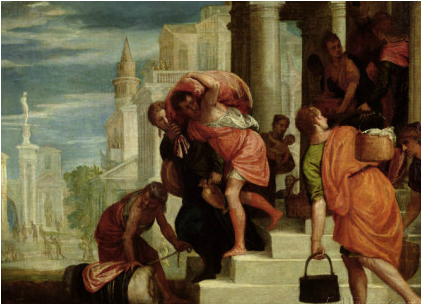 He brought about the near-destruction of his nation through many events that he could have stopped if only he had given in to the demand of Moses – yet, he was obstinate towards a seemingly mundane request by his slave labor force. 4:21 And YHWH said to Mosheh, “When you walk to return to Mitsrayim, see all the wonders which I have set in your hand, and do them at the face of Phar’oh, and I shall strengthen his heart, and he shall not send forth the people. 4:22 And you shall say to Par’oh, ‘Thus says YHWH: “My son, My firstborn, is Yisra’El. And I shall cross over into the land of Mitsrayim on this night, and I shall strike every firstborn in the land of Mitsrayim, from man and until beast, and on all the deities of Mitsrayim I shall perform judgments. I am YHWH. The resistance displayed by Pharaoh towards the desire of the Hebrews to simply go and worship was forged on the threat of death to his own son by a deity he refused to acknowledge. His resistance to the Holy One of Israel was in actuality a religious defiance. He would not succumb to the demand, because he did not believe that an unknown deity of a powerless slave labor force could be of any real threat. The Holy One of Israel used a simple request, predicated with a death threat for noncompliance, to show that He truly is the King of kings, and no deity – real or assumed – can compare to His might. He is the Almighty One, and the events of the exodus, especially when viewed in a correct light, show this reality in a powerful way!